When I was building this website I was joking about the small planet images and saying just how small our world really is. Following on from my shoot with England Ashes cricketer Joe Root, the bat manufacturers Gunn & Moore kindly featured the assignment on their website (see picture & click on it to read full story). 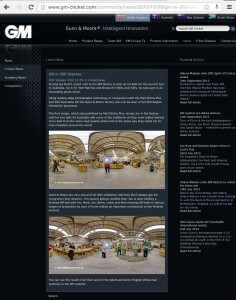 When I visited the site to check my moment of glory I was surprised to see an old friend featured on the previous news item. Many, many years ago I was a useful lower league cricketer for my home town club, Keswick in Cumbria. At that time we used to buy our equipment from another local player who has started up his business in the neighbouring town of Penrith. Dickie Spruce was a very useful cricketer who was always happy to help the local clubs. He brought top class equipment to Cumbria at a time when most sports shops in the area carried one cricket bat. Nothing was too much trouble and he went out of his way to find the best and most up to date equipment for his Sportscraft shop. I was delighted to see Dickie collecting his award from another Cumbrian cricket legend Paul Nixon after his years of service to the game and Cumbria. So almost thirty years since I last saw Dickie I met up with him in cyber space – you see it is a small world…. PS: I can’t claim to know Paul but I played many games against his dad ! 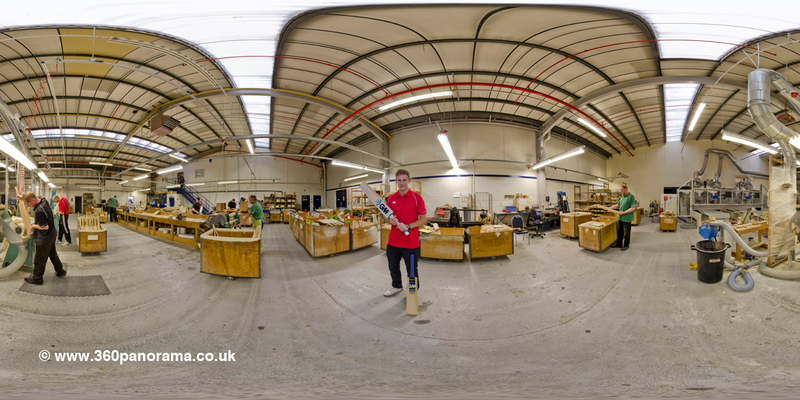 England cricketer Joe Root visited the Gunn & Moore bat factory in Nottingham last week and I was invited along to shoot some 360 degree interactive panoramic images for the Mail Plus iPad app. 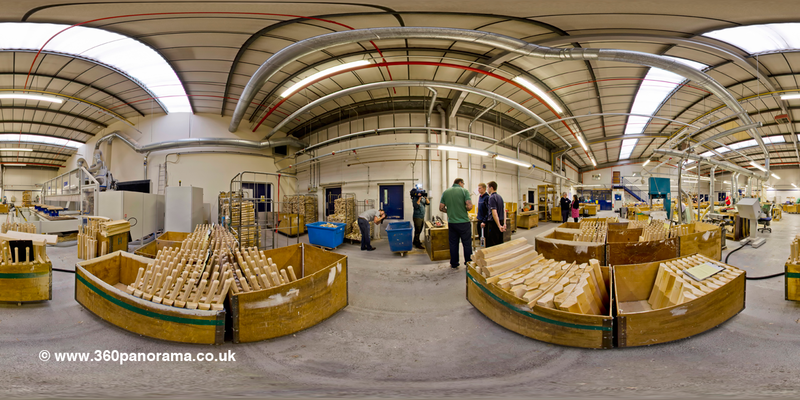 The Gunn & Moore craftsmen produce English willow bats from start to finish at the Nottingham factory, this is the only place in the UK to complete the full process. Joe picked the new GM Six6 for Test Matches and the GM Octane for ODIs and T20s. The Ashes tour party fly out tomorrow with the first test at The Gabba in Brisbane on November 21st followed by further fixtures in Adelaide, Perth, Melbourne and Sydney. 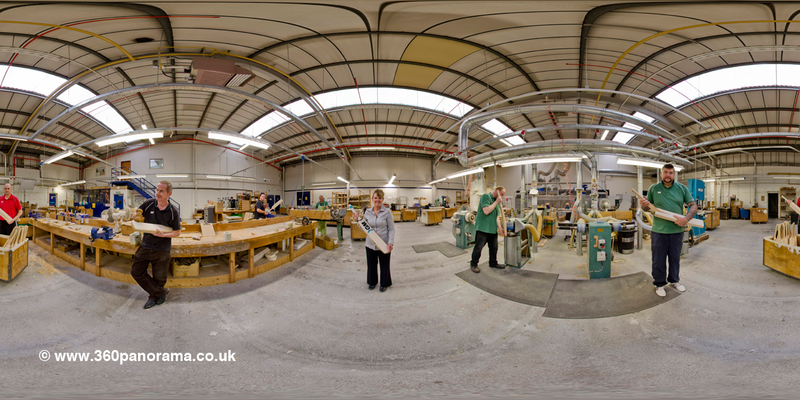 Click on the images below to look around the factory.